Aboyne, Upper Deeside & Donside SNP councillor Geva Blackett has welcomed the news that a Ballater-based community safety and support post is being piloted for 12 months to cover the Upper Deeside area. 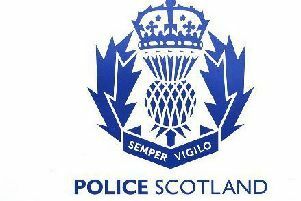 The post, which is funded by the Scottish Fire and Rescue Service with a contribution from Aberdeenshire Council, will cover a multitude of responsibilities, including preventing falls in the home, supporting and uplifting someone who has fallen but is uninjured, home safety, fuel poverty and taking part in road safety issues. The benefits of the project will be evaluated over the year and if proves successful, may continue. Cllr Blackett added: “I am absolutely delighted this post has now come to fruition; if someone falls in their home and there is no injury, it is madness to call upon limited ambulance cover. “If someone does fall and an ambulance is not available, that person could very quickly get cold and then health issues do arise; if someone can jump in a car and be at the house in twenty minutes to help that provides reassurance to everyone.